The largest online casino software developer has announced its intention of expanding the collection of online slots for mobile. Most of the new titles will be first released as Microgaming Viper download software and were developed in HTML5. This means that the games will run smoothly on all mobile devices, including Android, IOS and gadgets that run on Windows operating system. Microgaming began with four online slots but these represent only the tip of the iceberg and new titles are expected to be released by the end of the year. One of the games goes by the name of Cashapillar and it is inspired by the first slot with 100 pay lines ever released. At the time, it was among the first to introduce revolutionary concepts such as stacked wilds, which granted it instant success. The animations are surprisingly inspired and the reels gets surprisingly tall when the symbols appear stacked. 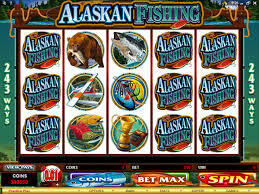 Alaskan Fishing is the second title that will hit mobile devices in the upcoming days and just as the name suggests it is inspired by the northern state. It has a standard 243 ways to win structure but features more multipliers and free spins than your regular slot games, not to mention the state-of-the-art animations. Equally impressive on the visual side is Stash of the Titans, only in this case players are transported back in time as Microgaming recreates some of the moments depicted in Greek mythology. Those who are even remotely familiar with the Hollywood blockbuster Clash of the Titans will probably reach the conclusion that the slot game and the movie bear several similarities. Players should expect to receive as many as 15 free spins and payouts that are increased up to four times when the multipliers kick in. The last of the four online slot games compatible with mobile platforms is Treasure Nile, a game that invites players to dig for gold and riches. Microgaming tries to recreate the atmosphere of ancient Egypt and it comes as no surprise that it used Pharaoh symbols and pyramids to achieve that goal. There is also a progressive jackpot to be won that consists of $100,000 and past performance suggests that it is won at least once a month. More games will be released under the same trademark and these HTML5 titles will strengthen the Microgaming collection of online slots. 3-D slot games are on the lips of every major software developer and online casinos are keen on adding such titles to their collection. Bodog Casino has launched a special promotion that goes by the name of Go 3D and it presents players with a chance of winning $3000. This promo is in full swing and most of those who have chosen these online casinos got hooked on it back in May 21 when it all began. Right now we are at the middle of the Go 3D promotion as it will reach a conclusion on June 20. Those who play often at Bodog Casino know all too well that these guys prefer to split their promos into two distinct one and the Go 3D makes no exception. Every time they spin the reels, players receive loyalty points with six of them being awarded for each wager worth $10. In order to put things into perspective, it is enough to compare this rate to the regular one of earning loyalty points to see that it is three times higher. If you have any intention of climbing up the VIP ladder, this is the best time of the year to push your gambling into overdrive. To make things even better, all of the points accumulated during this promotion with not be subject to any particular wagering requirements. This means that those who want to convert them into cash at the end of the Go 3D can do it without being asked to roll over the amount. All of these bonuses and juicy promotions do a great job at enticing people to join Bodog Casino, but it is the sheer excitement of the slot games that keep them hooked. This online casino is famous for promoting those games featuring state-of-the-art graphics, 3-D animations and charming sound effects. Every month, a new 3-D online slot is added to the list, with famous titles such as Slots Angels, Mad Scientist, At The Movies, The Exterminator, RockStar or The Glam Life being already played by thousands of players. If there is one downside to this promotion it’s that it offers no special matched deposit bonus, so only new players can hope to start playing with a larger bankroll. Having said this, it would be a mistake for existing and prospective players to miss out on the Go 3D promotion.